Cancer Response Team joining Children's Cancer Network to support Run to Figh Children's Cancer. 6 year old Zaliyah teamed up with our Family Outreach Officer, Scott Chaverri, along with family and friends to participate in the Batman experience at the Colten Cowell Foundation. We are so grateful for the generous donation the Colten Cowell Foundation gave us to help with our families who are in need! 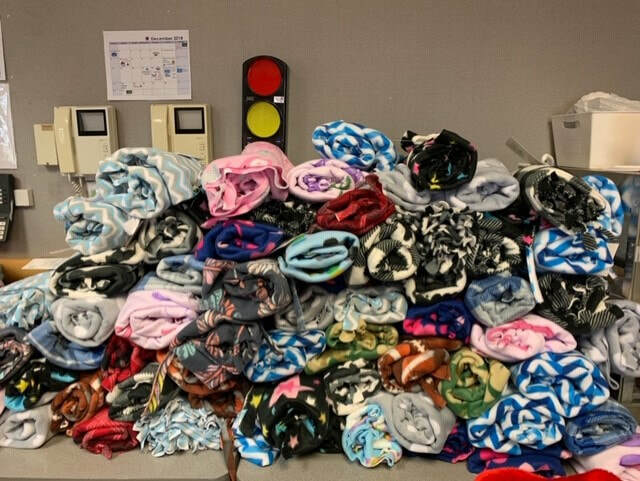 Thank you to the students and parents at Scottsdale Country Day School K-8 in Scottsdale, AZ for making blankets for Phoenix Children's Hospital. ​Cancer Response Team was invited to tour Tgen, a local non-profit Biotech here in Phoenix, AZ. They are doing some exciting things on liquid biopsy and we look forward to an announcement very soon that could help our children battling cancer. Cancer Response Team joining HopeWalk to support HopeKids! Cancer Response Team joined September CHAMP 5K, along with many other amazing nonprofits to raise awareness, funds and to celebrate our childhood cancer community. Chase from PAW Patrol delivering our hand crafted blankets to warriors at Phoenix Children's Hospital. Cancer Response Team is Ashley's legacy that will live on through every child and the lives of every family that it touches. Ashley would have turned 19 years old on July 13, 2018. 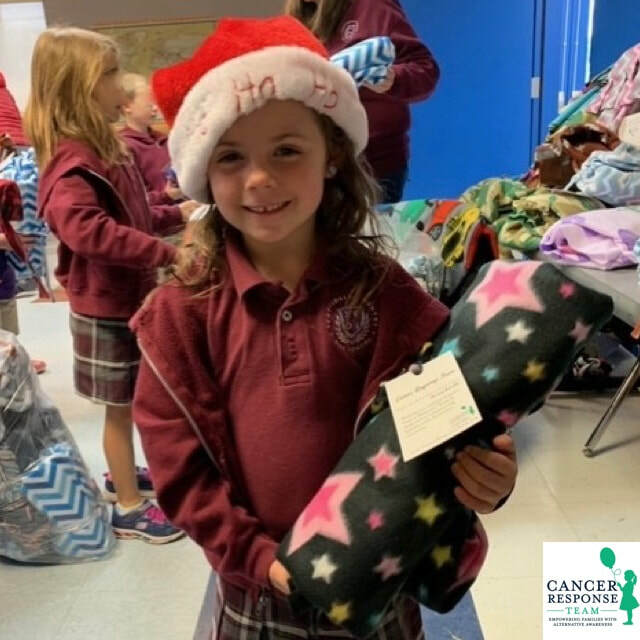 Cancer Response Team was made possible because of Ashley and she has been the true inspiration to fight for EVERY single child battling cancer. In memory of Ashley's amazing life, we released 22 butterflies, one to represent each child that Cancer Response Team has helped. We also celebrated the 5th anniversary of Cancer Response Team on Ashley's Birthday. Chase from PAW Patrol made a visit to Phoenix Children's Hospital. Tami Butcher, and her daughters are founding designers for Origami Owl Living Lockets. They graciously donated 100% of their commissions to Cancer Response Team for the month of May. Golf Charity Event @ Orange Tree Golf Resort, Scottsdale, AZ. Golf Charity Event @ Wildfire Golf Club in Phoenix, AZ. Golf Charity Event at Proswingz in Phoenix, AZ. at "Tough Mudder" in Phoenix, AZ. Connor Raising Awareness and Donations for Cancer Response Team, Inc.
​Connor Harris from Arizona, a talented 13 year young hockey goalie for the “Flagstaff Northstars”, had a project he has to complete that involved in helping the community. His desire is to bring awareness out to the public and helping children who have been diagnosed with cancer. We are honored that this young man of only 13 who has such a caring heart, wants to make an impact on children's lives and we are truly thankful for him. Here is a letter from Connor asking for help and what the reason for his fundraising was. "Hello. This is Connor Harris. I am having a Bar Mitzvah that is coming up soon. And with that, I have to do a project that helps the community. My friend from back in preschool had a sister (Ashley Moore) that recently died of a brain tumor when she was only 13 years old. Her dad promised Ashley that he was going to start a charity that raises money for kids with cancer who want to try alternative treatments. And for my project, I have decided to help out his charity. I am going to do this by getting pledges from different people that we know, to donate a certain amount of money for each save I make for ten games (30 periods). We will keep track of my saves for the ten games and then collect the money at the end and give it all to CRT. But if you only want to donate a certain amount of money, we can put a maximum amount of dollars of your choice on it. Thanks a lot! Connor Harris"
Ice Skating Event @ Ice Den in Scottsdale, AZ. at "​Iron Women" in Fountain Hills, AZ. Celebrating Ashley Marie Moore, who received her wings at a young age of only 13. Family and friends came together to celebrate Ashley's live on her birthday, July 13, 2013 (She would have turned 14). Together, we celebrated Ashley's amazing life and our first official pre-launch for CRT! Cancer Response Team, Inc. is Ashley's legacy that will live on through every child and the lives of every family that it touches.